Fellow cyclist Jessica has apparently had too many close calls (and some hits which she survived by and large unscathed) and she plans to do something about it. 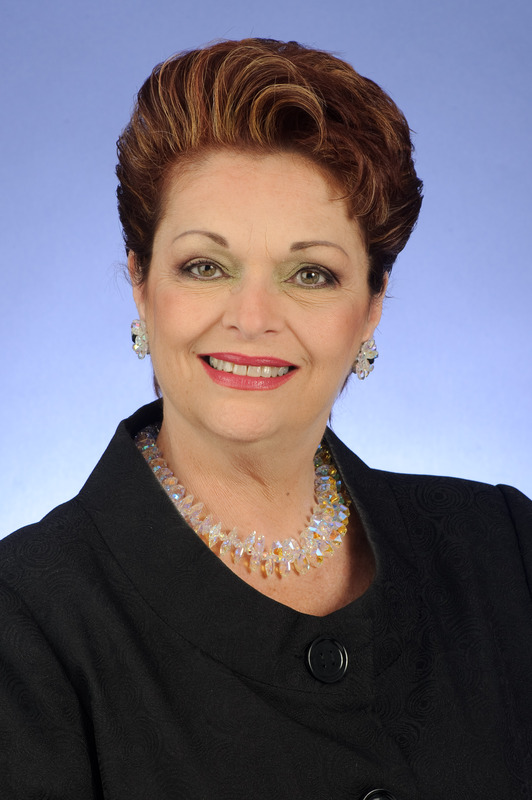 Join her event this Saturday, August 17 at 6 pm at the bike lane on 16th Street in Miami Beach. The full story is on her website, which is here. We hope many of you will be able to make it. Miami-Dade County is facing a tricky situation on Bear Cut Bridge. Predictably and sadly, it is choosing to prioritize motorized traffic at the expense of the safety of cyclists and pedestrians. This much became clear at the January 2013 BPAC meeting. Given current plans, it will almost be inevitable that the bridge be close to pedestrian and cycling traffic during construction (except for those cyclists going with traffic, which they are allowed to do). As many may have heard, parts of the Bear Cut Bridge have become so dilapidated that they have to be replaced. This is not the time or place to go into details why it is that such a situation suddenly springs upon the County – blame is already being passed around. More news reports here, here and here. The County Public Works and Waste Management Department has gone through several iterations of planning. The latest approach – and the most detrimental to safety for pedestrians and cyclists wishing to enjoy Crandon Park or other destinations on the Key – is to take away the pedestrian and bike path heading east to create more throughput for cars and trucks. The current plans call for re-routing pedestrians and cyclists to the north side of the bridge via a signalized crosswalk by UM’s Rostenstiel campus, where cyclists and pedestrians going both ways are supposed to share the space. Then, should you desire to return to the south side, you would use the marked crosswalk where pedestrians and cyclists have been constantly ignored by drivers in the past. If you are now scratching your head, you are not alone. The reaction of BPAC members appeared to be rather unanimous: it was negative. The entire operation does not appear to be well thought out regarding the treatment of pedestrians and cyclists. And that is an understatement. There are so many things wrong with the current plans that it is difficult to figure out where to start. It is unclear how separation between fast and slow cyclists, runners and walkers going in two directions is supposed to be managed. 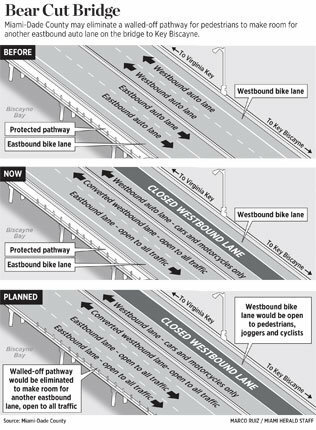 According to the Miami Herald, the County even considers closing the roadway for cyclists and pedestrians entirely. According to Interim County Engineer Antonio Cotarelo the county “would have to figure out if there’s any impact, and how bad it is with traffic, and take whatever necessary action to adjust it or close it if necessary — meaning closing the bridge to all pedestrians and cyclists.” It is apparently perfectly fine for the County to close down the only access for pedestrians and recreational cyclists to Crandon Park entirely while vehicle traffic to and from Key Biscayne is allowed to flow through four lanes, just as before. What county personnel did not state clearly and were rather guarded about is the following: if current lane usage is to be maintained (two lanes in each direction) and with the existing ped / bike path removed, it will be impossible to maintain the ped / bike path on the northern side once construction begins. It is hardly conceivable that the county – having decided to close down the footpath at this point – will restrict motorized vehicle access once construction begins for purposes of reinstating the foot path. There was talk of more law enforcement, but when pressed on whether the Miami-Dade Police Department would actually enforce the rules on the unsignalized cross-walk on the east side of the Bear Cut Bridge, the officer present seemed to be taken aback. It comes down – as is the case so often – to a question of prioritization. If the County wants to go beyond the usual lip service, it is time to step up to the plate. Over the last years, we have seen people get killed on the Causeway and numerous people getting injured. The County under the leadership of Mayor Gimenez has done little to nothing to improve the situation. Along comes a tennis tournament and it appears that the County snaps to attention rather quickly. The bridge is in dire need of repair from everything we can ascertain. There is no doubt about that. The question is whether the County should prioritize the needs of car drivers at the almost complete disadvantage for families and individuals that want to be pedestrians, runners or cyclists. This episode shows how little the County – and its mayor – support non-motorized traffic. Not only is the situation made more difficult, but rather it is also made more dangerous. And it does not seem to matter to decision-makers. Those decision-makers sometimes take part in bicycle rides when it suits their needs of being elected. When it comes to having to make decisions over whether find a suitable balance that interest seems to wane entirely. While the county plans are still in flux, the removal of the foot path seems to be the option that the county has chosen. It is also the only way from what we can tell (and we are happy to stand corrected) to not have to close pedestrian and a lot of bicycle traffic. Yet again, the county and its leadership has chosen motorized traffic over the interest of other users. While touting bicycling in other forums and using such opportunities to create the image of being supportive for bicyclists, county leadership on this and many other projects is sorely lacking. You should let Mayor Gimenez know that you are against current plans (mayor@miamidade.gov). Our attempts to reach out to his office so far have been futile. More voices may be necessary. In February of 2012, Aaron Cohen was fatally struck by Michele Traverso while riding with close friend and fellow cyclist Enda Walsh on the Rickenbacker Causeway. Today, he was sentenced to 364 days in prison and two years of house arrest. Our first thoughts go out to his family and friends. We understand that today’s hearing was an emotional moment for them. This is most likely even more so after what can only described as a lenient sentence. It is but one more example how those who are already traumatized feel that the community (in the form of the court system) is unable to provide at least some remedy to the death of a loved one. It is safe to say that this sentence is nothing short of a farce – on many levels. This is not to blame the judge. His hands are tied by sentencing guidelines that provide incentives for exactly the behavior that Traverso exhibited. Remember that Traverso drove without a license and was on probation for cocaine charges. Accusations that he was driving under the influence could not be proven, though he was seen in a bar in Coconut Grove and seen staggering when he arrived in his home in Key Biscayne. He subsequently pled guilty to the following charges: leaving the scene of an accident involving death, leaving the scene of an accident involving great bodily harm, and driving with a suspended license. One can ask why it is necessary to have a hearing that lasts almost six hours when the outcome appears to almost be predetermined without being able to take account of the individual act in its full horror, as was the case here. What is to blame is a system that incentivizes individuals who commit such a horrific act to flee the scene of an accident and hide out long enough so that blood alcohol levels are no longer in play. Whether this was the case or not (and there are many indications that this was indeed the case), the message that is being sent into the community is one that the state shouldn’t send. It is a gaping hole in a system that is rigged against cyclists and pedestrians from the get go. Combine this with a car-centric infrastructure and drivers who continuously disregard cyclists and pedestrians (and police who do little to enforce existing laws) and you have a perfect storm for situations like the one we are facing to continue. The question is what to do about this? Some suggest to challenge the state attorney’s office, others blame the police. None are without fault in the bigger picture. But it appears at this point at least that the real challenge and the correct target is a legislative change in Tallahassee. We will be working on this and will certainly need any help we can get. I am sure that the SFBC will not be the only one in this – other groups in this area (such as our friends at Green Mobility Network and others) and elsewhere in the state will hopefully join us. If you would like to get involved, please let us or the group of your choice know. We don’t have any concrete plans yet, but the cycling community will need as many voices as possible to push local elected officials to do something about this public safety crisis. We received the following report from Ali Gonzenbach, an experienced cyclist who was struck by a vehicle in Coconut Grove this week. It shows some questionable police behavior and raises many questions. On October2, 2012 at 9:20am while cycling I was struck by a vehicle at the intersection of Oak Street and Mary Street in Coconut Grove. After fully stopping on Tigertail (which turns into Oak) I signaled my left hand turn onto Mary Street. I was almost out of the intersection when a Black Nissan Murano struck the right hand side of my bike. The vehicle “t-boned” me. I fell to the ground, but luckily I was only lightly hurt and my bike was not damaged. The driver stopped and two passing cyclists helped me to move my bike to the corner sidewalk. I immediately called 911 and spoke not a word to the driver. While waiting for the responding officer, the driver asked if I was OK and then said “well…” as to indicate there was no need to call the police. I responded, “No, you hit me. This is how it’s done.” An officer arrived within 3 minutes and asked if I was OK. We both relayed what happened, the driver indicating that she did not see me and that she hit me. Once at home I called the Miami Police Department and inquired as to their policies regarding writing reports for vehicle and bicycle crashes. After emailing the responding officer’s supervisor, he quickly called me. I asked his policy regarding this type of incident and he stated that reports are avoided if no one is injured and there is no damage done because the reports take “about an hour to fill out and this is time when our officers can be on the street.” He also stated that checking identification is up to the officer, in cases where no damage or injury occurred. He was polite and spoke to me for about 15 minutes, but was unable to give me any specific information regarding policy. Luckily, I was aware enough to get the responding officer’s name and badge number, as well as the vehicle tag number for the car that struck me. I am rather incensed that the officer did not even inform me that I could write a report. Rather she stated, “there is nothing I can do.” This is an unacceptable response from an officer whose job it is to protect citizens. It is also curious – to say the least – that the Miami Police Department does not appear to be concerned with enforcing traffic rules. We can very much understand Ali’s frustration. We don’t want to get too bogged down in the details, but this situation is troubling. We have some questions for the Miami Police Department as this is not the first time we have encountered behavior regarding cyclists and pedestrians who are all too often regarded as second-class citizens (yes, this is incendiary language, but there are plenty of examples to support this). Police work is difficult, we don’t dispute that and police officers obviously have some discretion in the decisions they make. Why did the officer not cite the driver, given that the driver admitted to having made contact with the cyclist? Why did the officer not – at the very least – file a crash report? What are the standard operating procedures of the Miami Police Department regarding accidents involving cyclists? To what extent does the incident as described above (assuming the description is correct) constitute a failure of such standard operating procedure? We would be grateful to hear from the Miami Police Department. We will email Chief Orosa and post his reply (with his permission only) should one be forthcoming. When we go to BPAC meetings, we oftentimes leave with a feeling that county and city projects in Miami-Dade County take too long to come to fruition. But at least most of the time there at least appears to be some sense that the people working on the city and county level are genuinely trying. Most of the time when FDOT appears you scratch your head and leave with a feeling that the agency and its representatives simply don’t understand – or worse, don’t want to understand (and from this criticism we specifically exclude their regular contractor-representative Stewart Robinson), despite having had some assurances from FDOT employees that they actually care about bikes. The September BPAC meeting was no exception. That’s not quite true. FDOT brought an actual member of the agency to the meeting (though we have yet to see the bicycle / pedestrian coordinator for District 6 at a BPAC meeting), together with a contractor who was the main spokesperson. After initially presenting a project on SW 1st Street between 27 Ave and 2nd Ave as well as portions of Flagler Street with bike facilities over the course of the planning stages, the current plans have now removed dedicated bike lanes on large portions because it would take parking away and it may slow down traffic. You could be forgiven to think “here come the old arguments again”. Given that there has now – for a long time – been evidence that higher speeds kill more pedestrians and cyclists when hit (for those really eager, take a look here a review of the data by the U. S. Department of Transportation), one would have thought that FDOT would have taken note. The push back from the committee members was virtually unanimous. All those who spoke expressed their concern that the agency did not live up to its mandate. For some reason, FDOT appears to think that providing parking is part of their mandate. We have yet to find that in any pertinent legislation or regulation and are happy to stand corrected (yes, this is an explicit call for FDOT to provide documents to that effect) should the reverse be true. When confronted with the fact that the Miami Parking Authority had determined that parking spaces on one side of SW 1st Street could be removed without a discernible decrease in the level of parking provided (parking is underutilized and parking spaces exist on both sides of SW 1st Street), the argument was brought forth that FDOT had no mandate to take something away that already existed. This is exemplary of FDOT’s mindset: don’t inconvenience anyone that drives a car – which almost by default decreases the safety for cyclists. – and where other available means or factors indicate an absence of need. None of this applies in the context of SW 1st Street. Public safety actually demands the inclusion of such facilities, the costs are negligible for FDOT since they do not have to purchase land to put these facilities in place and there is certainly a need for such facilities. 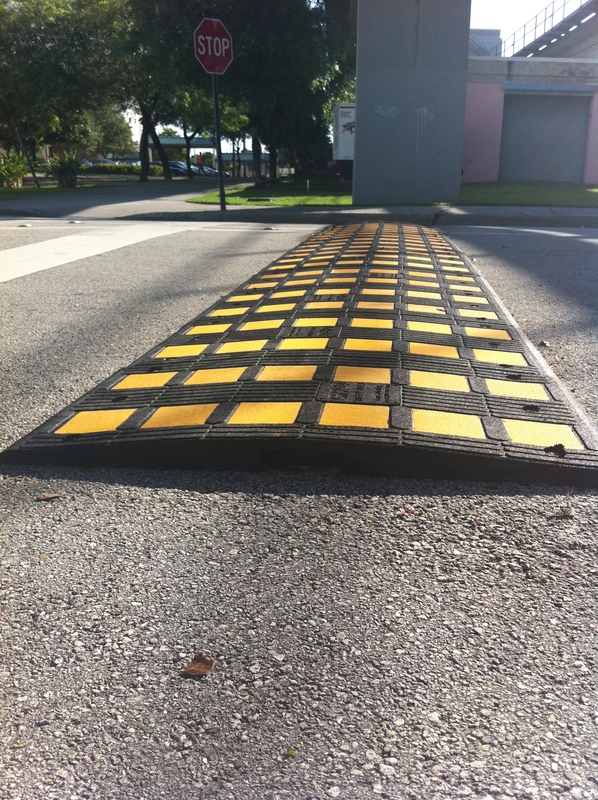 Note also that the toolbox that FDOT can rely on for such facilities does NOT include sharrows. One wonders why the FDOT representatives made arguments that do not rely on its actual mandate, but bring forth other reasons which happen to be more convenient for one mode of transportation (cars), but increase the risk for all others (bikes, pedestrians, public transit). The question ultimately comes down to this: is FDOT willing to actually follow the legislative mandate or is it trying to make arguments that have nothing at all to do with that mandate? 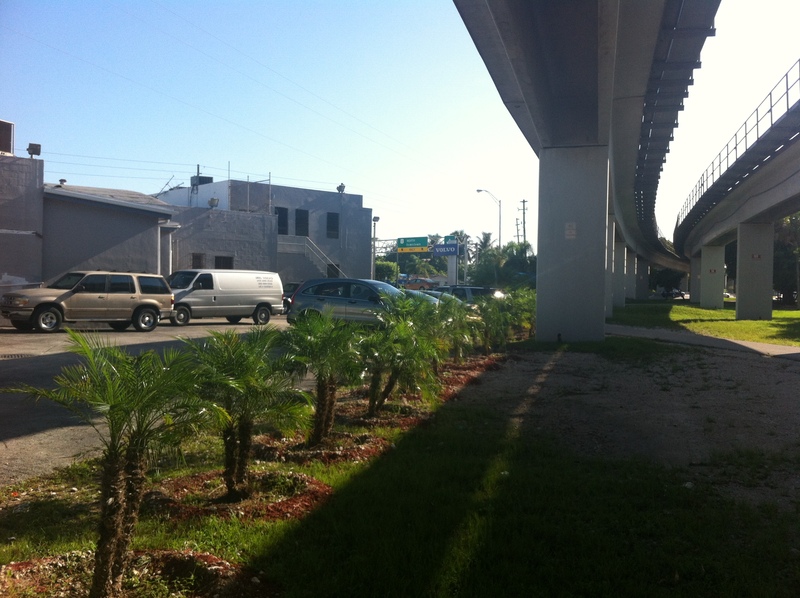 Is FDOT finally willing to give priority to safety over car parking? This means – and this appears to be the biggest challenge to the thinking in FDOT District 6 – that the prioritization that is currently in place is wrong. What became apparent is that car parking is more important to FDOT engineers and project managers than the lives and the well-being of people. Given FDOT’s dismal track record in District 6, we should not be surprised. We simply expect more from FDOT. We expect FDOT representatives to be familiar with studies (see here, here and here) that show that bicycling facilities actually increase business and increase property values. We expect that (in line with comments by BPAC member Matthew Toro) that planners think in a forward-looking fashion rather than applying the same old methods that have moved this state to the sad state it is in – home to the four most dangerous metro areas in the country for pedestrians (and it is no stretch to think that the same is true for cyclists). This would include providing studies that take account of an increasing number of people who – voluntarily or involuntarily – will not drive in the future (as opposed to presenting a large increase). It would also involve taking these studies seriously in the projections of users that FDOT provides. That would then open the toolbox for FDOT to think more creatively about a five lane street – three of which are reserved for moving traffic and two of which are used for parking – by thinking about and enabling systems like Bus Rapid Transit (BRT) or at least dedicated bus lanes / shared bus and bike lanes (see here and here) so as to advantage public transit over individualized motor traffic. None of this is possible in the minds of people whose only idea – we are not talking about prioritization – appears to be moving cars. want to believe that FDOT wants to have a conversation. It may be a long time until we see real progress. In the meantime there is hope. We still have hope. Please send Gus Pego, the head of FDOT District 6, an email (if you have trouble with the link, his email address is gus.pego@dot.state.fl.us) stating that the proposed design for this project and others is inadequate and that FDOT – yet again – does not fulfill its required mandate to provide safe streets for all users. Our friends at Bike Walk Coral Gables need your help for their upcoming Gables Bike Day. From what we can see, this promises to be another great event in a city that could build itself as a truly amazing city to bike in. By now, most of you have seen a proposed Miami-Dade County commission resolution, which is – in its current form and at best – highly problematic (for a review of the proposal, see here, here and here). The resolution would allow a reversal from the complete streets paradigm that requires FDOT to include bike facilities into their projects. It does not stop there, but even mandates a legislative reform on the state level, again potentially rolling back what little advance has been made in Florida (as a reminder, the state has the dubious distinction of including the four most dangerous metropolitan areas for pedestrians and cyclists). We wanted to get to the bottom of this and decided to call Commissioner Sosa’s office trying to figure out what was the impetus for this move. We received a call back from the legislative assistant Vivian Castro. The good news first: the Commissioner is not anti-cyclist. So far, so good. The concern appears to come down to losing parking for businesses on a small stretch of the 57th Road project that FDOT is implementing. On this “historic road”, which has “homes on the east side and commercial development on the west side” a bike lane would apparently upset the parking situation. Thus, it appears that businesses have voiced their opposition, claiming that this would be detrimental to their existence. The move towards the resolution was then apparently founded on the belief that with said resolution FDOT could be motivated to become less rigid and look for alternative pathways for cyclists (there is an obvious flaw in that logic in that the roads surrounding 57th Avenue are not state roads and FDOT has no responsibility or even competence to make any such project happen). This is somewhat bad news in that in order to address a rather minor problem the commissioner is sponsoring legislation that could negate years of work which has at least advanced the idea that cycling should be conducted in a safe manner. It appears at this point that the commissioner has given in to pressure from her constituents (not unheard of in politics). When pressed why this was put on the agenda without public input, the explanation was that this was simply an “urging”. At the very least this is short-sighted – while the concerns of businesses are relevant, no one appears to have thought through the consequences of this proposal. Asked whether there has been any attempt to get informed about what cyclists may think about this proposal, we were told that they were surprised by the reactions in the cycling community. We suggested that it would be a good idea to engage in meaningful conversation before undertaking a project with potentially disastrous consequences. We are told that the “commissioner is open to changes and amendments”. One can only hope that the commissioner is serious about this. The project should be shelved for good. Given that the commission meeting has been postponed to September 6, 2012 there is still time to have an impact. In order to have those voices heard, head on over to our friends at Green Mobility Network and follow their simple steps to contact the commission members and other county officials. As Rydel remarked, it is necessary to take 2-3 minutes to take action rather than complain after the fact. So – do it now. To make things even easier, use the template from GMN pasted below. We have written about the work that Miami Dade Transit has put in around the Douglas Road Station and a car dealership selling cars that are associated with a Scandinavian country before (see here, here, here and here). 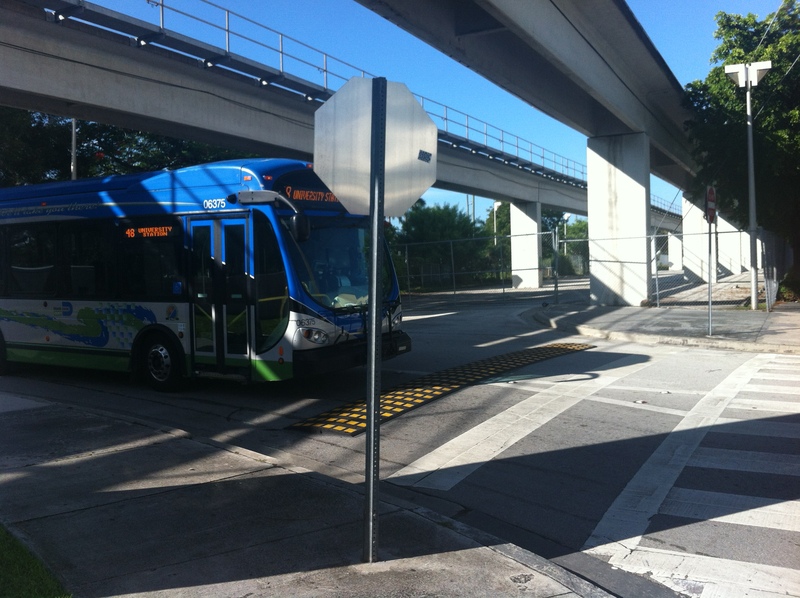 Unlike other agencies in South Florida – first and foremost the local FDOT district which has yet to come to terms that life does not revolve around cars (the most egregious example may be here), but it appears that Miami Dade County is not moving along with many projects at this point – Miami Dade Transit deserves some praise. Within a reasonable period of time – less than six months – the agency has been able to make things safer around the Douglas Road Station and for users of the M-Path just south of Bird Road. The dealership has been dealt with by putting in a row of palm trees, now effectively making it impossible for traffic from the dealership to use the M-Path as their own private road and in more than one case getting close to hitting cyclists. It is time to say thanks to MDT, not only for doing this project and for implementing it quickly. More importantly for actually listening to concerns in the community and for thinking through solutions. Other agencies would do well to heed the MDT’s example. Magic City Bicycle Collective … Grand Opening … Less than One Week to Go! The Magic City Bicycle Collective celebrates its Grand Opening … another piece of the puzzle. Grand Opening celebration for the Magic City Bicycle Collective. Arrive on bike & bring your friends for free beer, music, bike films, baked goods, and freestyle bike demos. Please remember to drink responsibly. The Magic City Bicycle Collective is located at 1100 N. Miami Ave. across the street from The Corner. If you have any unwanted bicycles, parts and/or tools feel free to donate the items by bringing them to the grand opening. We have been working hard to put together a bicycle collective for Miami and we are very excited to open our doors to all our cyclists. In the meantime, check out what we’re about, go through our blog and follow our progress on Facebook and Twitter to stay in the loop. Magic City Bicycle Collective is a nonprofit, community driven, bicycle repair education center. We teach people how to work on their bikes with personal help or group workshops. We have tools and stands that can be used if you already know how to use them, for a suggested donation per hour. Otherwise, we can work with you one-on-one to help you with all your bicylce needs. Volunteers and donations. Our space is donated by The Corner, our team is a group of dedicated volunteers and we maintain our collective by providing our service to you. We will also be offering a membership program with special privileges to our shop. If you would like to volunteer, let us know! 1100 N. Miami Ave. We are located on the north west block of 11th Street and N. Miami Ave. Caddy-corner to ‘The Corner‘. We are working hard to open our doors in June. Once we do, our hours will be Tuesdays & Thursdays 5-9pm and Saturday 2-6pm. Be Safe & Keep Riding Miami!! 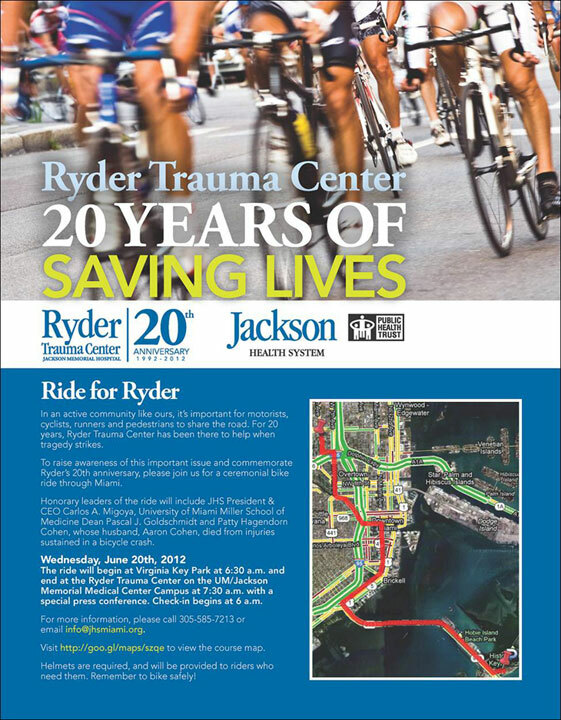 Ryder Trauma Center will organize a ride from Virginia Key to Ryder Trauma Center on Wednesday, June 20th at 6:30am, with check-in beginning at 6 am.